The much dreaded 404 Error page appears when you mistype a URL address, follow a link to a non-existent page, or a link with an address that has changed. In the short term a 404 landing does not equal lower webpage ranking or bad search engine optimization (SEO). 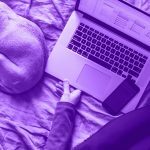 In the long run however it will lead to frustrated visitors, higher bounce rates and ultimately a bad user experience, which does mean a lower website ranking and does equate to bad SEO. In an ideal world, the best 404 page would be one that is never seen or visited, but as we all know that is quite impossible and so it is worth investing some time in making a customized one. The custom 404 error page is not just about dealing with frustrated visitors and providing help, but also the perfect space for creative branding and standing out. Here are some of the best examples of creative branding on a 404 page that we have come across online. Hootsuite provide an excellent example of a heavily branded 404 page with “Fowl” (File) not found, the page having “flown the coop” and of course ‘Owly’ the missing owl on the milk carton. Do you have a company mascot? Can he ease your visitors’ frustration through sheer cuteness? Heinz have used one of their most popular products to brand their page. 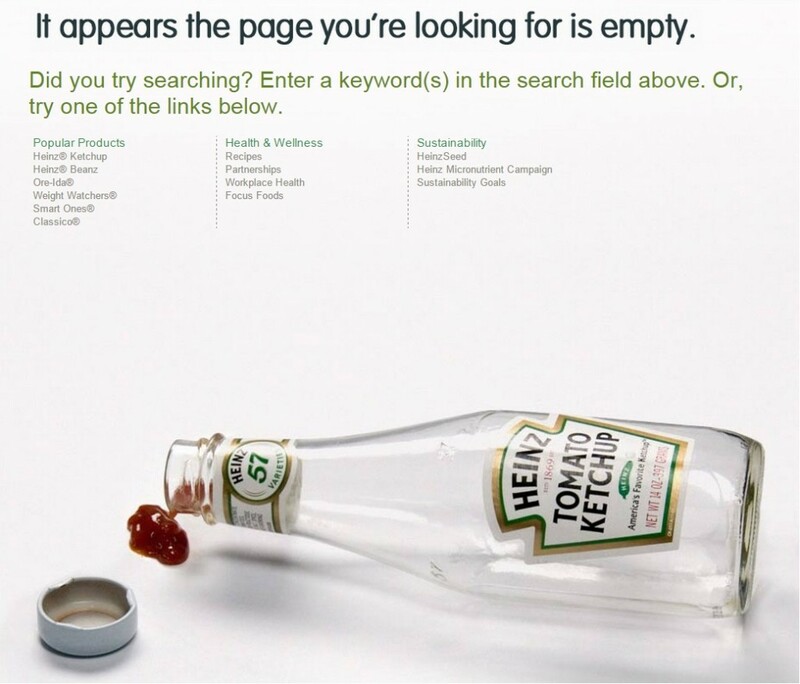 Heinz ketchup is a bestselling product and a brand leader, do you have such a product, if so why not use it on your cool new 404 page? 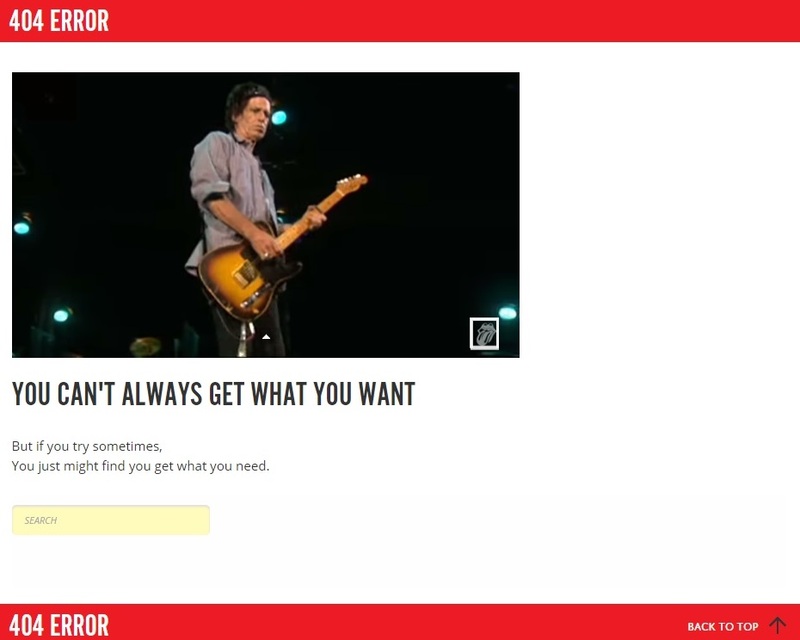 Yes, the official website of The Rolling Stones does have a custom 404 page and it rocks (pun intended). “You can’t always get what you want” has been ranked as one of the greatest songs of all time by Rolling Stone magazine, topical and effective, also worth a listen it turns frustration to smiles in seconds. 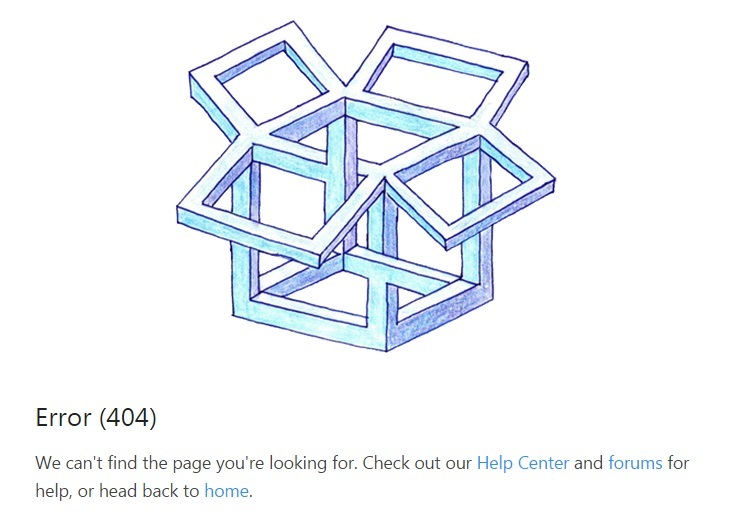 Dropbox have an excellent Escher-esque style graphic depicting their logo, but what we like most about this 404 page is its simplicity. A great graphic and within two short sentences Dropbox give you three possible help options, “Help Center”, “forums” and “home”. Yes, it can be that simple. The South Park TV series are all about the characters, their personas and of course the hilariousness that ensues (much like this 404 page). Note: each time you land on their error page you get a different character with a different message. 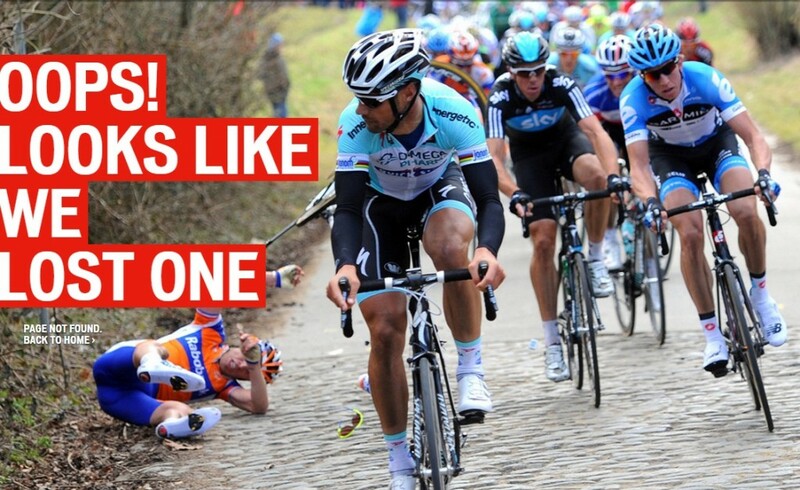 A very topical and effective 404 page by Specialized bikes. 404 Error? Ouch! The Internet is for the most part ruled by cats. 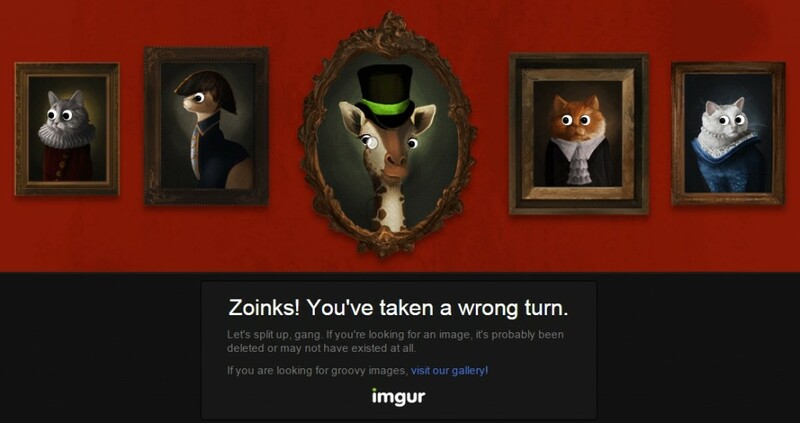 Imgur know this and make the most of it, but how about an eerie Scooby Doo style atmosphere where classy cats and a giraffe follow your mouse cursor through vintage frames? Hilarious! Your trusted movie rating site also has a very topical 404 page. The quotes on IMDB’s page are slightly adapted for the 404 error and vary, great branding. The top menu has fallen off, the screen is cracked. It’s worth noting here that “Grats” (short for congratulations) is a popular chat term in massively multiplayer online role-playing games (MMORPG’s), such as World of Warcraft, a popular Blizzard game – know your audience! 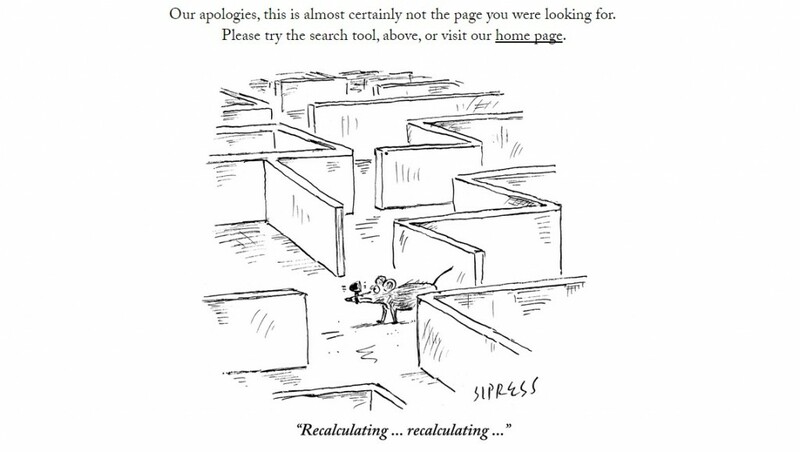 The New Yorker demonstrate they are moving with the times through this error page, and again they are moving with class. More importantly, the magazine’s website demonstrates that creative 404 pages can also be applied to more demanding, serious audiences. 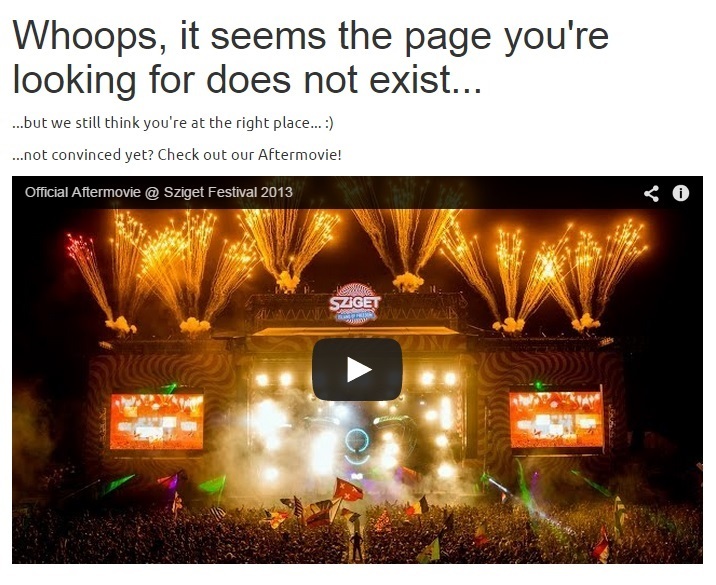 For all you event professionals out there, Sziget festival’s 404 page is an excellent marketing example. 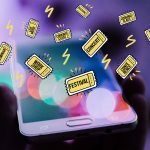 The aftermovie inspires persuasion, emotion, and come on, who would not want to stay on the site and purchase a ticket to the next festival A.S.A.P. after seeing this enticing aftermovie? See you all at Sziget next year! 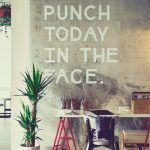 At Weemss we like to differentiate ourselves by providing a funkier and more innovative product and this requires a lot of thinking outside the box, in fact to us there is no box. Our 404 page is a perfect example of our fun-seeking side. When you are designing your very own custom 404 error page remember to also make it useful, keeping in mind you want the visitor to stay and continue browsing. An explanation of why the 404 Error may have occurred. A link back to your homepage. Links to popular menu options on your site. A link to your blog, or links to popular articles on your blog. A way of reporting the broken link. Finally, when designing that awesome 404 page, remember to keep the same look and feel as the rest of your website and try not to use the word “Error”, it frustrates people. 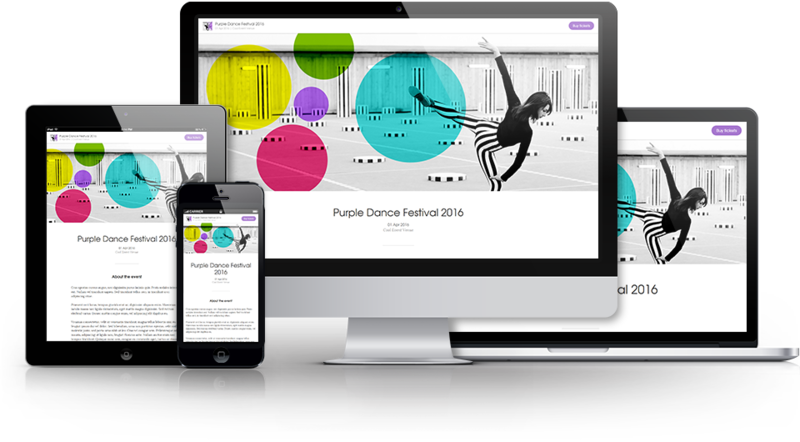 The re-designed Weemss event webpages brings a clean, modern, structured look to your events. See for yourself, Sign up now!